On February 7th, Pritchard & Jerden hosted its 3rd annual Risk Control Workshop for our property and casualty clients. 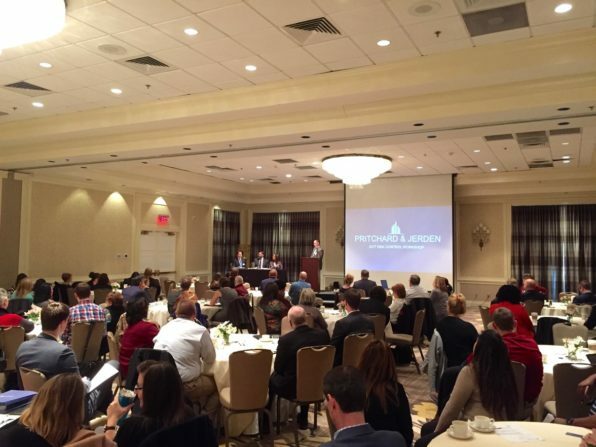 One hundred and twenty-eight attendees, from industries ranging from Staffing to Power and Energy to Retail and Professional Services and Technology came together to discuss and participate in a panel discussion on wide range of topics. Brad Holcomb of Swift Currie, Matt Jordan of Gerber Law, and Melissa Toulouse of Next Level Administrators focused on the proper way to handle a litigated workers comp claim. Together they addressed how to navigate a claim beginning to end. Then, Larry Stine of Wimberly, Lawson, Steckel, Schneider & Stine gave an update on how to navigate the new OSHA regulations. Rob Peters and Rodney Westbury, of P&J gave an update on Employee Benefits. Kody Darr of P&J, Brandon Schaffer of Hanover Insurance, and Melanie Osgood of Chubb discussed what carriers look at when contemplating writing insurance, and Alice Edwards and Mark Ray of PwC discussed today’s climate of Cyber and Crime claims. 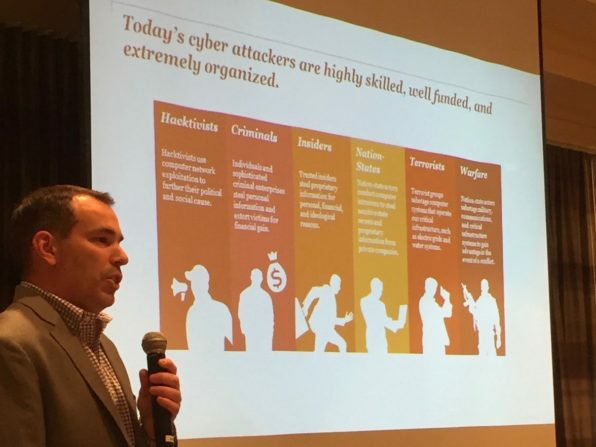 They covered everything from cybercrime basics and trends to prevention and best practices in the event of a claim. The event was a great success, and we look forward to next year! Pritchard & Jerden is an independently-owned insurance and risk management firm, providing Property & Casualty, Life and Employee Benefits, and Personal Insurance services. Established in 1960, Pritchard has 95 employees. For more information about the firm, its practices, and its professional staff, please visit www.pjins.com.